TVR - I Say Ding Dong Shop - Buy Stickers, Decals & Unique Automobilia. TVR 3.5 Litre Cut Text Striped Stickers. 6" Pair. TVR Black & Chrome effect Striped Text Thick Foil Shaped Stickers. 4" Pair. TVR Black & Silver Rimmed Circular Stickers. 3.5" Pair. TVR Blackpool White on Clear Window or Car Body Sticker. 8". TVR Circular Laser Cut Self Adhesive Car Badge. 36mm or 47mm. TVR Dark Blue Wheel Centre Stickers. Set of 4. 38mm or 50mm. 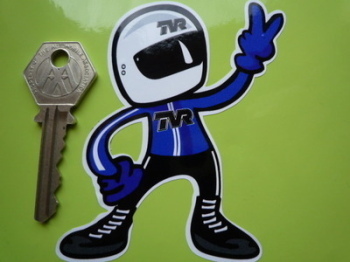 TVR Driver 2 Fingered Salute Sticker. 3.5". TVR England Dark Blue Wheel Centre Stickers. Thick Brushed Foil. Set of 4. 40mm. TVR England Light Blue Wheel Centre Stickers. Set of 4. 38mm or 50mm. 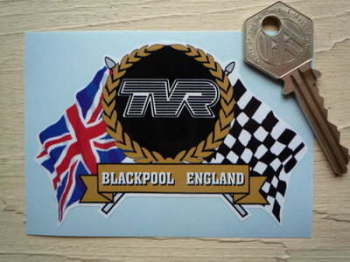 TVR Flag & Scroll Sticker. 3.75". 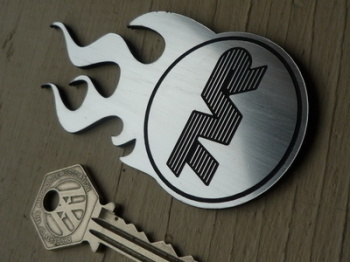 TVR Flaming Logo Laser Cut Self Adhesive Car Badge. 4". 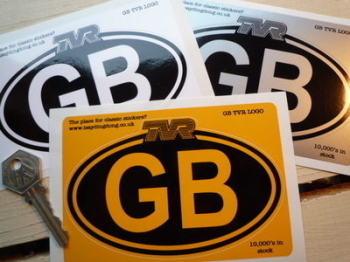 TVR Great Britain Union Jack Style Stickers. 2" Pair. TVR Kangol Style Seat Belts Lift Shaped Stickers. 1" Pair. TVR Kickplate Sill Protector Stickers. 20" or 40" Pair. TVR Laser Cut Self Adhesive Car Badges. 2" Pair. TVR Laser Cut Self Adhesive Car Badges. 4" Pair. TVR Logo Coachline Style Circular Laser Cut Self Adhesive Car Badge. 22mm. 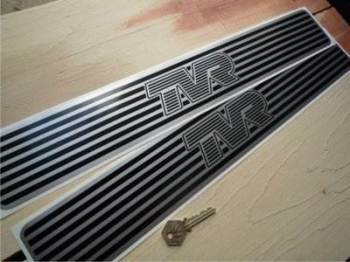 TVR Logo Nationality Country ID Plate Sticker. 5". 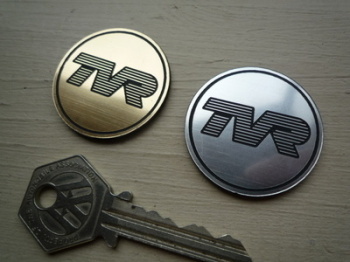 TVR Logo Plain Style Circular Laser Cut Self Adhesive Car Badge. 25mm. 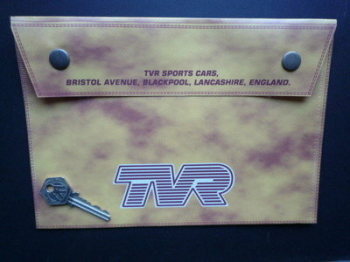 TVR Number Plate Dealer Logo Cover Stickers. 5.5" Pair.